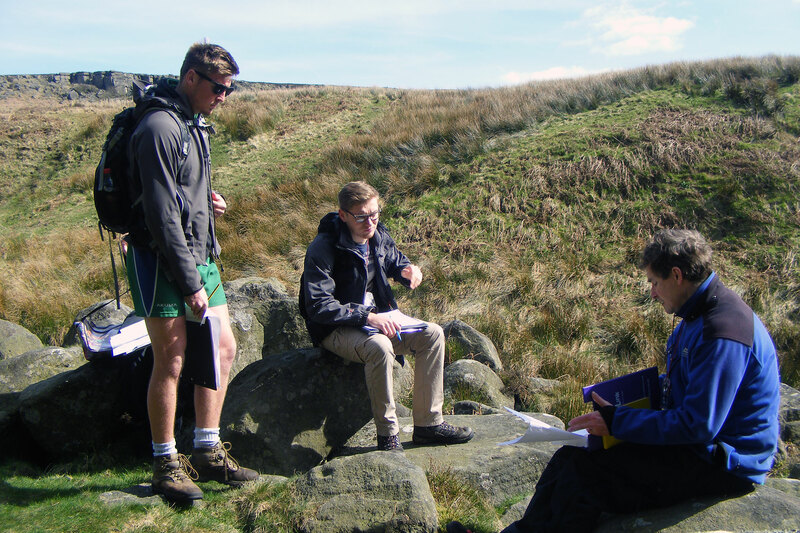 Fieldwork plays a key role in our Geography degrees. During the ten-day field course in Morocco, you will visit urban and rural areas to understand contemporary debates related to development associated with rural and urban areas in developing countries. The fieldtrip explores the areas of Marrakesh, Agadir, Essaouira, Ouarzazate, Imli, etc. You will also undertake your own projects on topics such as rural development, sustainable tourism, migration, urban agriculture, water shortages and sustainable energy. This ‘flagship’ fieldtrip involves a week-long visit to south western Morocco and is based in the iconic historic city of Marrakech and the coastal tourist centre of Agadir. The trip provides final year students with an experience of the human and physical geography of a country which reflects a long and varied historical journey on a continent with contrasting climatic and cultural characteristics. 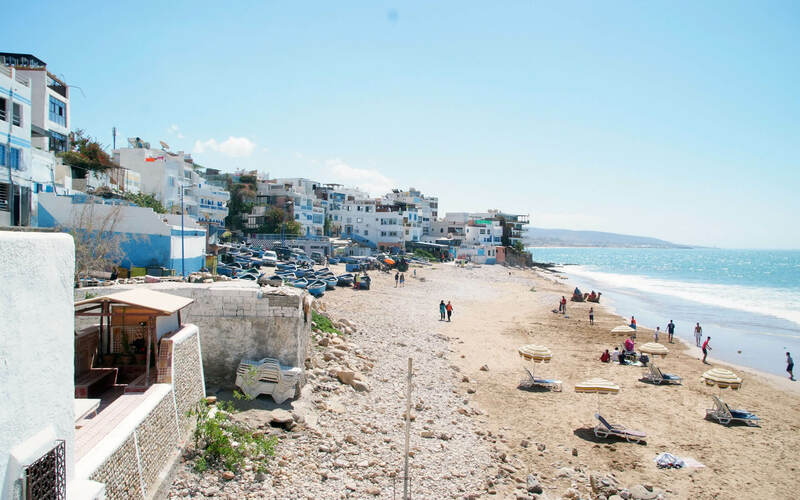 You will visit a number of locations which illustrate the cultural and physical background to Morocco but also provide examples of current issues and challenges faced by the country. These include the degradation of the environment through vegetation removal and over-exploitation and soil erosion, the conservation and management of water resources and other natural resources such as the argan woodland, the role of women in Islamic Moroccan society and the development of a sustainable tourism industry. Visits include the world famous medina and square Jmaa El Fnaa in Marrakech, historic grain stores and local women’s cooperatives in the Anti Atlas Mountains, the Argan Biosphere Reserve and Souss-Massa National Park near Agadir and desert oases in the far south of the country. The rugged gritstone uplands of the Peak District provide an opportunity to investigate key geomorphological concepts and processes first hand. On this trip you will learn how to ‘read’ and interpret the landscape, and produce your very own geomorphological map of the area. 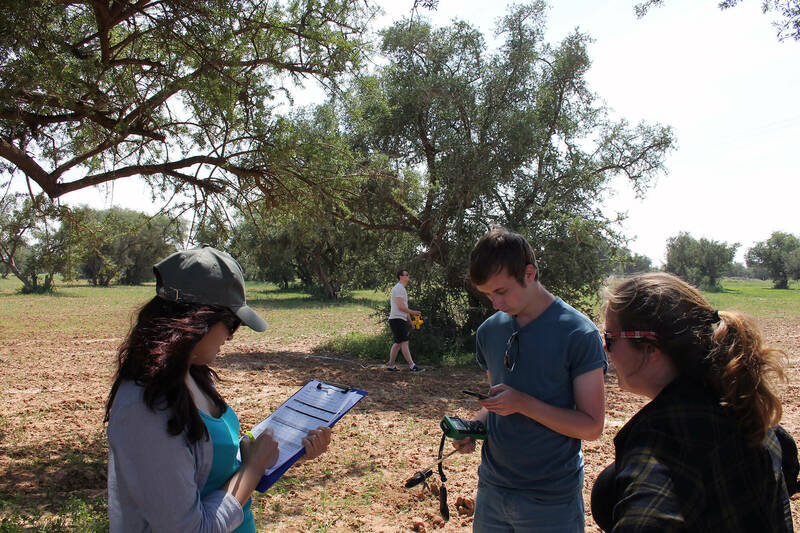 The aim of the trip is to provide opportunities for you to practice some basic field techniques which you may later use in other modules and in particular your independent Research Study in the third year. The field techniques include soil augering, slope profiling, vegetation studies using quadrats and the development of observational skills in the built environment. These techniques are employed in the study of soils at Snipe Dales Country Park near Horncastle en route to Skegness, at Gibraltar Point Nature Reserve on the edge of the Wash to the south of Skegness and in the town of Skegness itself. This half day field trip is designed to provide an opportunity for you to ‘ground truth’ the locations that you will have been working on in practicals using air photographs. The area studied is local to the University and includes locations such as Quorndon, Allestree Park, Mackworth Estate and the ‘University Quarter’. Both physical and cultural/human features of the local area are investigated. The fieldtrip also provides an opportunity for you to become familiar with the geography of the northern and western edge of the city and the immediate surroundings of the University. The aim of this visit is show how energy consumption is managed within a large Industrial Organisation, and how renewable energy and efficiency schemes are employed in practice. During this self-directed trip you will undertake GPS data collection within a local residential area for GIS-based asset mapping and management.